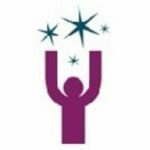 Every 6 weeks, a motivated and dedicated group of young people from the 23 regions of the North West, aged 11-18, meet at an event named Youthforia An organisation in which youth councillors from the North West meet up and work on campaigns and training.. The group consists of MYPs (for Oldham this is Nayema and Jade), DMYPs (Samah and Roshni) and youth councillors. We meet at various locations around the North West. Oldham is usually very well represented at these events, often with more people wanting to attend than there are places, and on a few occasions we have even hosted it. At these meetings, we discuss our regional campaigns and work on the national campaigns, particularly the Make Your Mark A Nationwide campaign, run by UK Youth parliament, that gathers information on what is important to the youth of the United Kingdom. 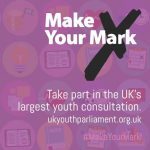 campaign which seeks the views of young people up and down the country on a ballot which informs topics for the MYPMember of Youth Parliament – The Member of the Youth Parliament is elected to represent the LA on a national level. House of Commons debateA debate is when two parties discuss a statement, with one side for the statement given, and one against. Each party gives points on why they stand where they do on the statement, trying to create a convincing argument to win the debate.... More later in the year.The steering groupA group that manages (steers) projects and work done for an organisation. One example is Youthforia NW’s Steering Group, which plan all the events occurring at a Youthforia NW Meeting.... More, which I am an elected representative for Greater Manchester North on, ensures Youthforia An organisation in which youth councillors from the North West meet up and work on campaigns and training. is efficiently run and well organised. The members also plan and run many of the workshops throughout the event. During the Youthforia An organisation in which youth councillors from the North West meet up and work on campaigns and training. event, the youth councillors receive useful training and information and are encouraged to go away and proactively make a difference in their communities. We do a lot of work on the campaigns and feel we have really achieved something and made a difference after each meeting and everything we have learned can be taken back to our local areas and used benefit the young people in Oldham as well as exchanging best practice with other local authorities. YCllr Jade Calder MYPMember of Youth Parliament – The Member of the Youth Parliament is elected to represent the LA on a national level.